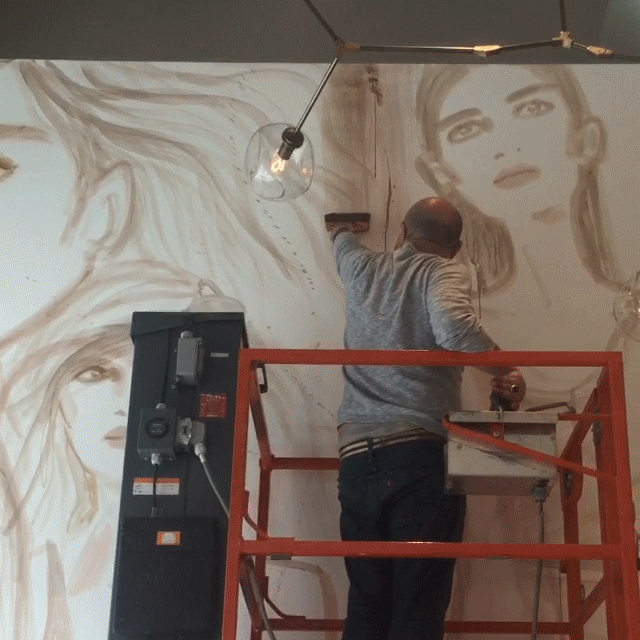 With the paint is still drying, Hanro of Switzerland—the uber luxurious lingerie brand—unveiled a massive mural by Izak Zenou in it's Washington Street store. Izak pays homage to the brand's heritage and the spirited women who inspire him. It was uncanny to witness Izak paint the monumental figures with such ease. This is fashion illustration at it's finest! The mid May opening was celebrity packed, hosted by Izak, Nigel Barker, Selita Ebanks and Fiona Byrne. Next time you're in the neighborhood, stop by and check it out. 806 Washington Street, NYC.